Grant will support Doris I. Cancel-Tirado, PhD, MPH, MA in studying factors that may influence the mental and physical well-being of rural Latino children. 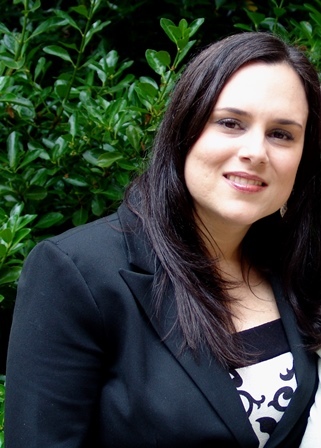 The Robert Wood Johnson Foundation (RWJF), the nation’s leading philanthropy on health and health care, has awarded Western Oregon University Doris I. Cancel-Tirado, PhD, MPH, MA Assistant Professor a 24-month grant through the New Connections program. Cancel-Tirado is among a select group of Junior Investigators to receive a New Connections grant. The grant will allow her to explore the associations among individual (e.g. race/ethnicity, language), family (e.g. family support, economic well-being) and community factors (health care access, educational systems) and the mental and physical well-being of rural Latino children. It will also allow her to explore Latina mothers’ perceived barriers and opportunities to providing their children the best foundation for healthy development and productive lives. “We are so excited to welcome Cancel-Tirado into the ninth cohort of New Connections grantees. The program connects first-time grantees to the Foundation, and the new perspectives they bring are essential to solving the critical, complex issues affecting our nation’s health,” says Catherine Malone, DBA, MBA, and Program Officer at RWJF. “This cohort joins the larger New Connections network of more than 850 scholars—a network that provides opportunities for scholarly support and collaboration for academics from underrepresented groups,” says Malone.